In light of increasingly angry calls to shut down Singapore Press Holding (SPH)’s STOMP site, the company has clarified its stand – the review will not result in the closure of STOMP. Daniel spoke at the World Association of Newspapers conference in Hong Kong last week and said that the company has been reviewing the STOMP site, and will be considering whether heavier moderation would be needed. But he clarified that this will not result in the closure of the site. Perhaps these numbers may give insight on why SPH is still running STOMP. Of SPH’s digital assets, STOMP pulls in the second highest amount of internet traffic at (66.8 million monthly page views) , trailing only behind Zaobao.com (128 million page views a month). This far surpasses SPH’s traditional assets Straits Times and Business Times online. STOMP’s Lollipop site, which runs entertainment gossip and launched more recently in end 2012, is already pulling in 10.8 million page views a month (See figures below). From Marketing’s observation, the site itself does not carry external advertisements. Daniel’s responses were to the growing influence of a petition to close STOMP. As of today, the petition has 23,323 supporters. 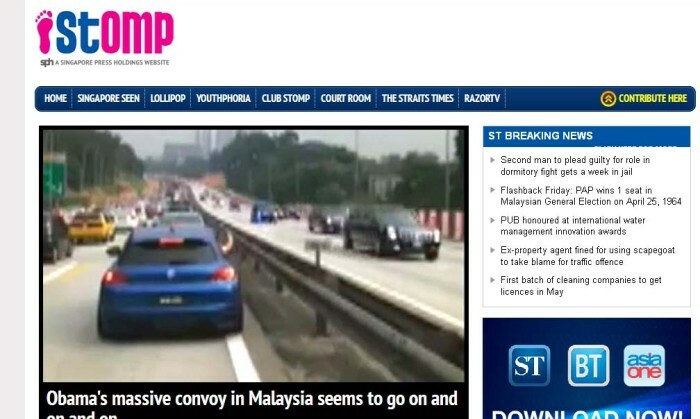 The petition called for STOMP’s closure on the basis of it publishing stories that was allegedly fabricated “in the expense of other citizens” and promoted cyber-bullying, said a note on the petition. The site also cited several posts such as : Editor-in-Chief apologises to SMRT for Stomp Picture, Inaccurate news of NSman in train. The petition has caught the attention of the Media Development Authority who said it was not its place to “influence the editorial slant of sites” but would take action if a site was in breach of its code of practice, later inviting STOMP detractors to propose stronger regulations. Several netizens have remarked that the MDA has required other local sites such as the Breakfast Network and the Mothership.sg to be regulated, however. After considering proposals from various e-commerce sites, the company chose to partner with Lazada because it proposed several in..